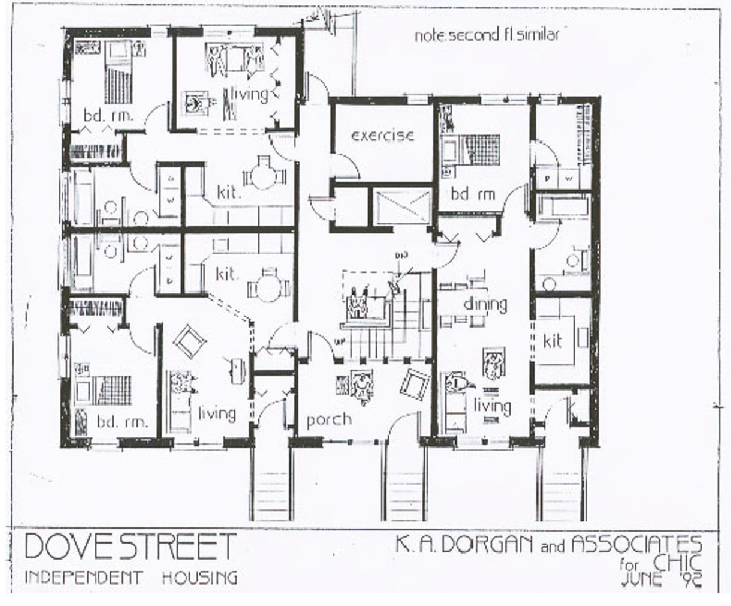 Architect for affordable housing that serves the needs of formerly homeless individuals living with HIV and other disabilities. 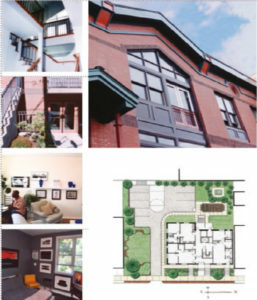 Eight fully accessible units for disabled formerly homeless individuals and a community support services are integrated within the framework of a residential historic district. The project is notable for adoption of very high design and construction quality within the constraints of affordable housing budgets. Located within an historic district the building relates to its context, yet it is fully accessible and clearly of its time. An engaged community process led to 100% endorsement by the neighborhood association, a contextually appropriate party that expresses contemporary design values, and a design strategy that is both fully accessible yet respects the pattern of the districts prominent building stoops. Fully accessible units are filled with light and have easy access to exterior spaces and shared amenities.